A few years ago I made a wonderful quilt top. Lots of browns, blues, a bit of green and white. Paisley, damask, floral, dots, swirly flannel, and butterflies. I think it was a disappearing nine-patch pattern. Whatever it was, it was lovely. I'm guessing I made this quilt at about the same time I made this one (this also happens to be my most popular blog post ... apparently googling "blue brown wedding" brings up this page). The inspiration is certainly the same, though not the fabrics. I started quilting it and it went all to crap. Things shifted and bunched and just plain made a big mess. I started pulling stitches, some of which were straight lines that easily came out. The rest, though, were teeny tiny stitches in a leaf pattern that stitched over itself with each leaf. They did not come out. 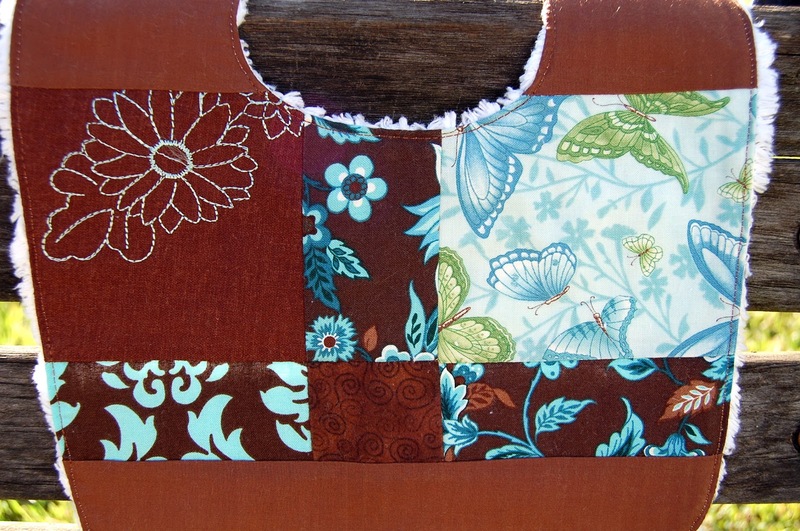 I set the quilt aside for a rainy day, a rainy day when I wanted to attempt to pull out those teeny tiny stitches. A few weeks ago it occurred to me that I might be able to make bibs from the quilt so I pulled it out and started cutting into it. Using both the front and the back I'll be able to make six bibs. And I love the way they look. They still capture the spirit of the quilt, just differently. 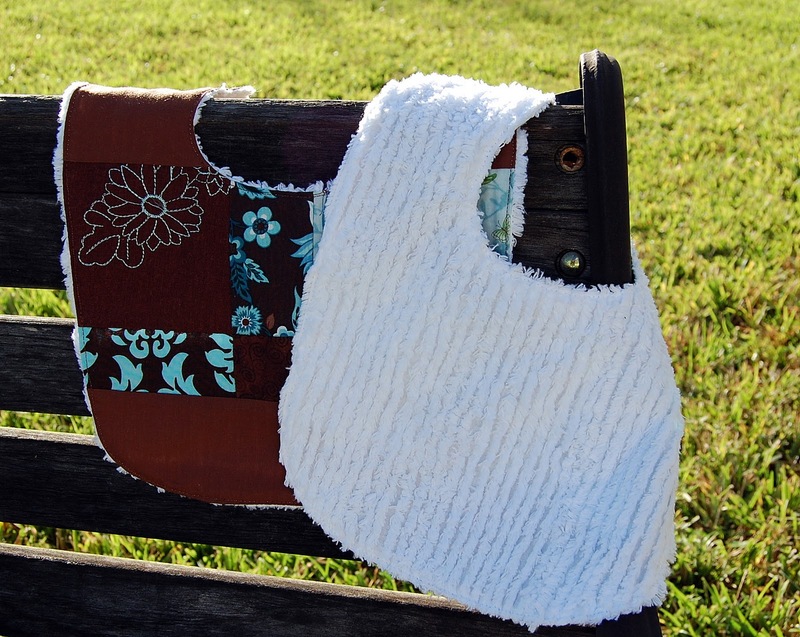 Two sets will be listed in the shop, along with quite a few other bibs and bib sets. The third set, pictured here, is this weeks giveaway. 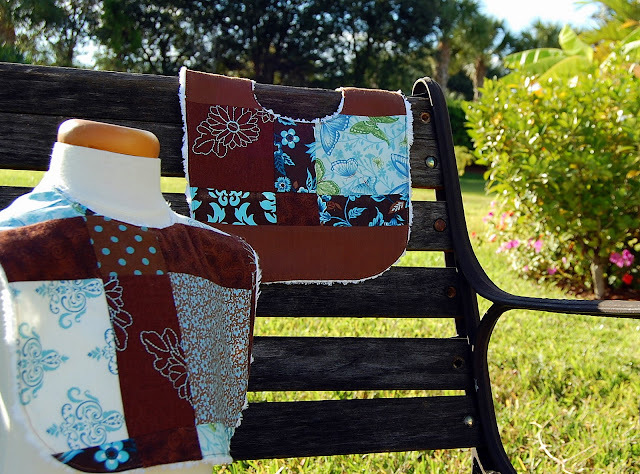 Each set contains two bibs, one wholly printed and patchwork, the other a mix of prints and solid brown. Each is backed with white chenille, which stays amazing clean and nice looking after extended use (I've been using similar bibs for the last few years with River and the daycare and they're still going strong). Each has a black snap at the neck back. To enter, just leave a comment. If you want to, tell about one of your good projects gone bad. For additional entries (up to a maximum of 4) blog, facebook, and/or tweet about the contest with a link to the contest in the post. For each of those things you do leave a separate comment so you get all sorts of entry chances. Be sure to leave a valid e-mail address with each comment so I can get in touch with you if you're the winner. The contest will end Sunday evening, the 13th, close to midnight. So cute! 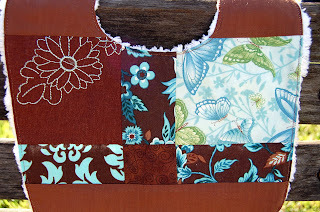 I'm sorry your original quilt didn't work out, but these are a great way to give it life again. (Jodie at bissigphotography dot com). Those are really a work of art. 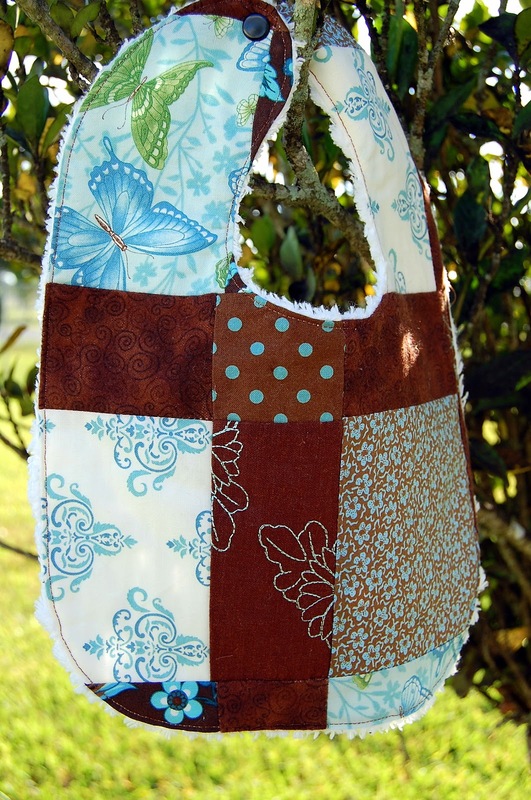 Thanks for sharing a making lemonade out of lemons project. The bibs are really very nice! I love lemonade!! Good for you for having the courage and nerve to see the quilt as something new. I'm not sure I'd be able to cut it up. Instead I'd just continue to be frustrated for years. These are beautiful! I've had too many "...gone bad" projects. Unfortunately it's caused me not to make too many lately. My best friend who got married in July is pregnant with her first baby and I would love to win this for her.